Circles Waterfront Restaurant is a Florida beach bar located in Apollo Beach. Discover this great Florida beach bar. Music: Weekends at 6:00 p.m.
Boat Access: N 27" 46.834 min. W 82" 25.408 min. Circles Waterfront Dining in Apollo Beach, Florida is a large complex with everything you could want in a Florida beach bar. At Circles you can dine inside and relax at their large inside bar. But, we are all about the water and sunshine. So Florida Beach Bar chose to dine outside on the covered patio.So many delectable items to choose from. You are bound to find some favorites. Circles has a tiki bar which is open Friday and Saturday from noon until close. People gather out there to party and enjoy live music and dancing. On weekdays the Tiki Bar opens at 4:30 p.m. There is live entertainment on the stage of this Florida beach bar Friday and Saturday evenings and Sunday afternoons. Sometimes you will even find music on Thursday evenings as well. Circles is located on Tampa Bay and is accessible by land or sea. 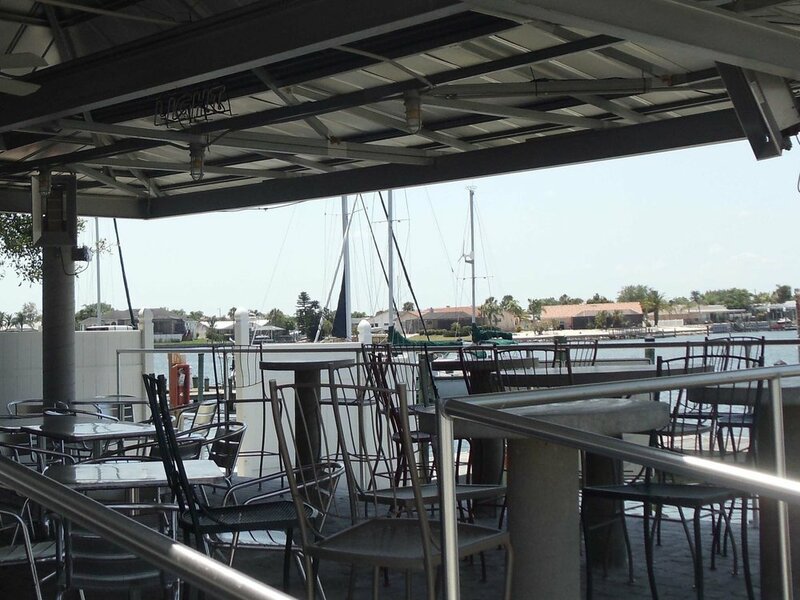 Boaters are always searching for a nice place to dock and enjoy some food, beverage, entertainment and fun. This Florida beach bar is the place to go when in Apollo Beach. It is the area's best kept secret. Dance at the tiki bar and watch the sunset over Tampa Bay and then enjoy the lights over the waters; a perfect and romantic setting.